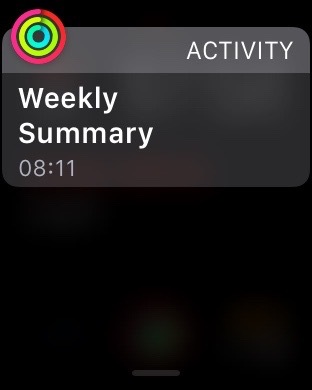 I consider myself an advanced user of Apple products, but just yesterday I learnt a trick about clearing notifications on my Apple Watch that I never knew. 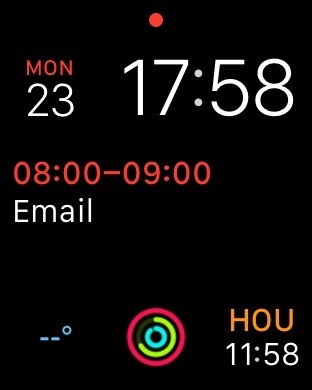 When you see a red dot on the top of your watch face this indicates that you have waiting notifications. 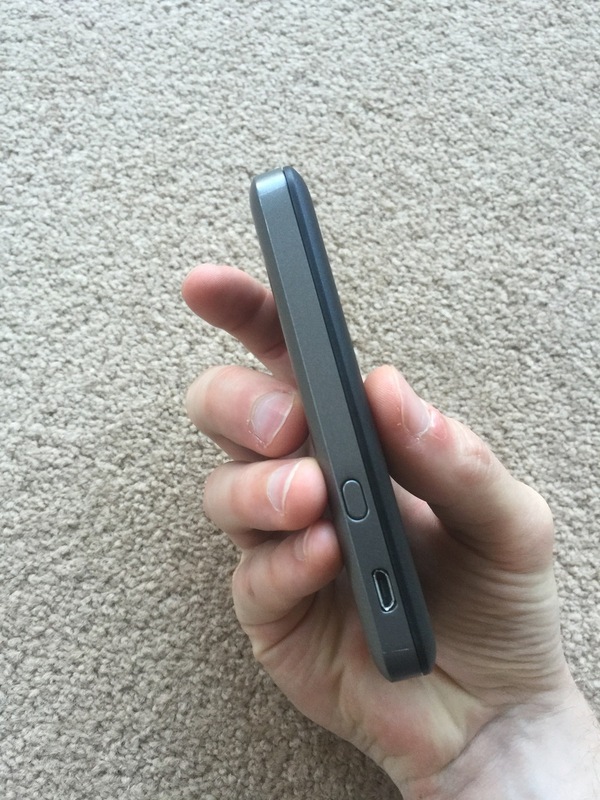 Swiping down with your finger you are presented with a list of all your notifications. 1. 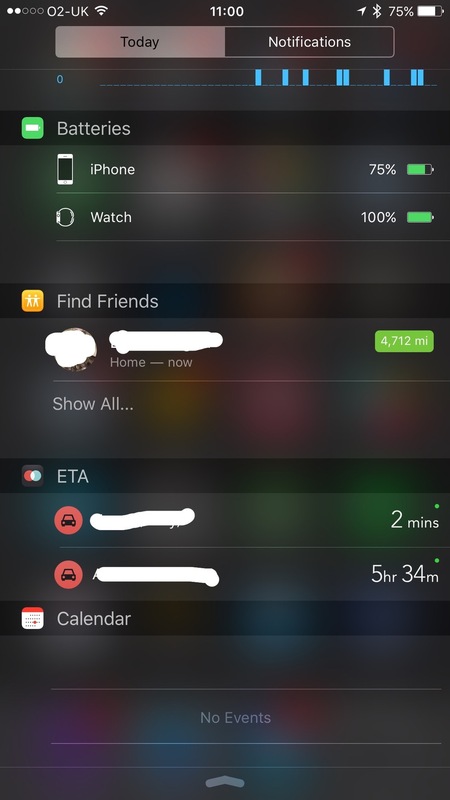 From the watch face swipe down from the top of the watch face showing all of your notifications. 2. 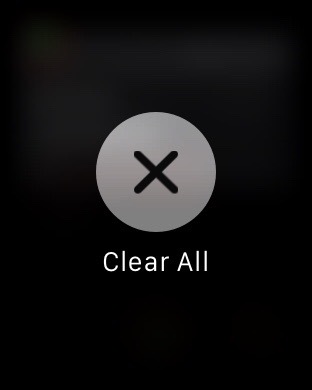 Press on the watch screen and an icon will appear on your screen saying ‘Clear All’. 3. 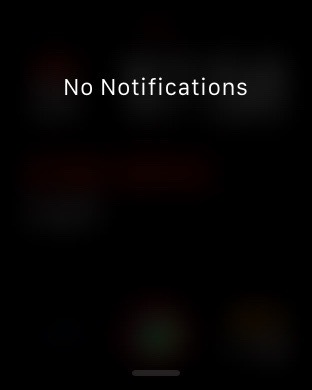 Tap ‘Clear All’ and you are all clear of notifications. Below are photos in the correct order showing you what you will see stepping through the process. Liked this article? Why not read about why I wouldn’t give up my Apple Watch. Here is a list of articles we published this week. You can keep up to date with Apple Resource by following us on Twitter or Signing Up to our weekly update e-mail. Note: Apple Resource will move from three weekly posts to two. I hope the two we provide will be more unique and in depth than any other Apple related sites providing you with more unique content going forward. As always, I want to know what you as a reader is looking for. Please drop me a line on Twitter with anything you’d like to see published. iOS now comes with a blue light reduction feature. This not only aids your ability to sleep when using your devices close to bed time but it has medically proven health benefits as a result. This article shows you how to enable and use the feature. Backup is one of the most critical things you can do with your technology today. Don’t be one of the people that turns up at the Apple Genius Bar in tears! As well as local backups you should be enabling cloud backups. Apple’s iCloud is a great offering, but don’t get caught short with its initial 5GB limit! To compliment Apple Resources backup article I’ve linked to The Sweet Setups post on backing up. It doesn’t added to much beyond the Apple support articles linked to here but its a nice article none the less. MacRumors has posted an article on Uber entering the driverless car space. I think this is probably one of the most exciting tech areas going forward. From an Apple perspective they could do really well here, from my productivity side (DavidJMoore.com) a driverless car could really increase your productivity if you could work or rest whilst the car does the driving! It’s been two years since I provided feedback to Apple to make touch ID available on the Mac range. This will be somewhere in between, maybe somewhat gimmicky depending on how you use your desk space or mobile devices. In the wake of multiple updates from Apple this week, including iOS updates it is a pertinent time to remind everyone the importance of backing up. You should be backing up your iOS device both locally and online. Apple has an excellent online guide that shows you how to backup both locally with iTunes and online via iCloud. But here is a really important message I want to impart on you. iCloud online comes with 5GB of online storage, you need to be aware of this. For your average iPhone user snapping pics and videos this will be used up rapidly. Apple has a range of very affordable monthly tariffs for iCloud storage, make sure you invest and upgrade. It will cover all of your iOS devices and ensure that your devices are backed up every night as they are plugged in to charge. Did you find this information useful? Follow Apple Resource on Twitter, Facebook or sign up for a free monthly Newsletter which will contain some unique content that won’t be found on the site. 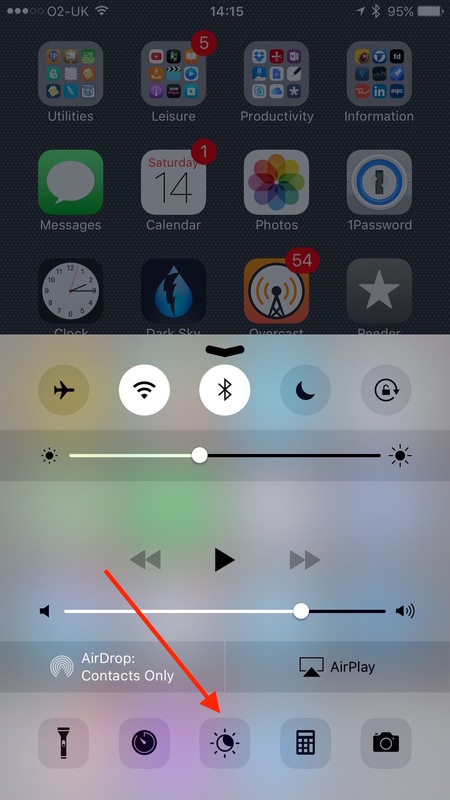 EDIT: Apple has just released iOS 9.3.2 which now allows night shift mode to operate in low power mode. 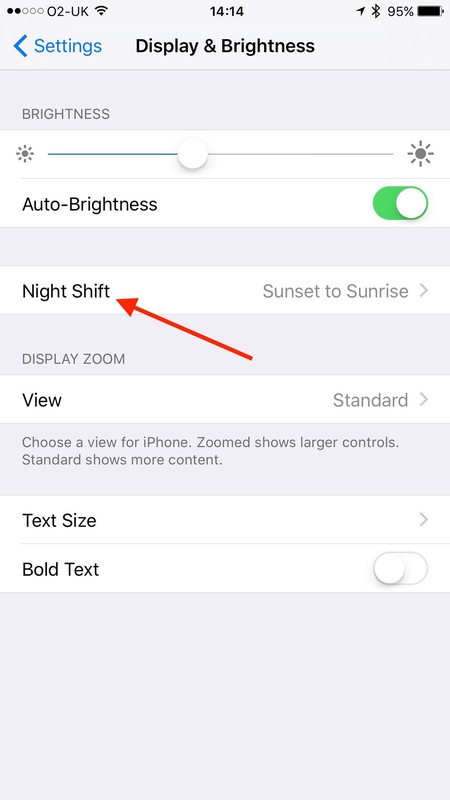 Night Shift mode in iOS is a system setting that allows you as a user to vary how your iOS device handles the blue light that its screen emits and varying times of the day. Why Would I Want to Reduce Blue Light? In short, blue light is the same light that reaches your eyes when you step outside. Biologically speaking it signals to your brain that it’s day time and hence your body reduces the production of melatonin, the hormone that makes you fall to sleep and that is critical for the synchronisation of your circadian rhythms. When using your iOS device during the day, this isn’t an issue but if you are using it at night time the blue light interferes with your circadian rhythm and hence your ability to sleep as well as your ultimate sleep quality. There are some added benefits besides the blue light reduction, such as the reduction in being blinded when you wake in the middle of the night and look at your screen! The warmer temperature on the screen will be much easier on your eyes. From this menu you have several options, I recommend you toggle ‘Scheduled’ on which will present you with new menu options. 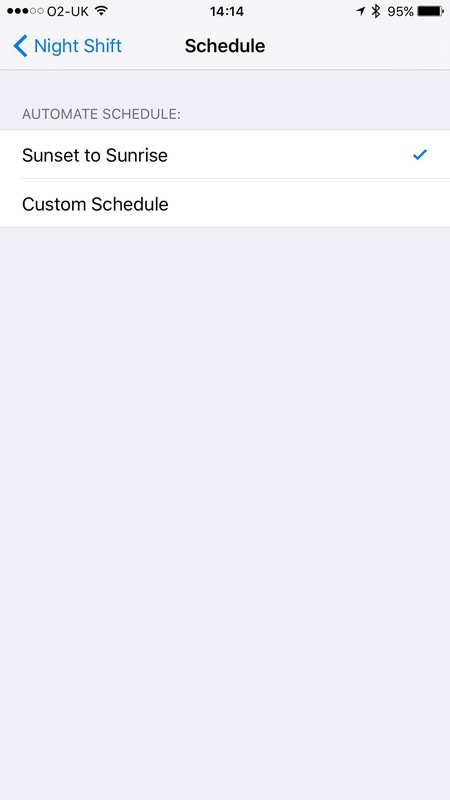 Again, I’d personally recommend that you set it to ’Sunset to Sunrise’ but if you want to, you can choose a ‘Custom Schedule’. 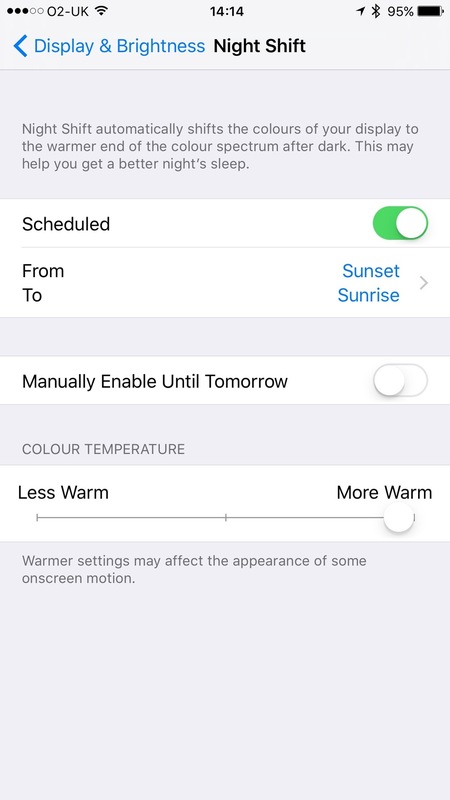 ’Sunset to Sunrise’ will use your location and enable the ‘Night Shift’ to occur at exactly the right times for maximum benefit. If you find yourself wanting to disable it, say because you are watching a movie, then from the iOS home screen you can swipe up from the bottom. This will bring up a menu where there is a new icon which looks like a sun icon thats half black and half white. Tapping this during the day will enable and disable the Night Shift. Toggling this when your phone is in scheduled night shift will present you some menu options for temporary disablement. The final settings are for colour temperature, personally I set it to the most warm to remove as much blue light as possible but you should set it to whatever you feel comfortable with. Applications to reduce blue light on electronic devices have been used for years on many other devices via apps like F.lux, however, this is the first time this has been possible on iOS (after F.lux was removed from the app store). Whilst it may take a little bit of getting used to you will soon notice the health/sleep benefits of minimising blue light around bed time. Indeed, this looks to be the way Apple is going as a default after the release of the new iPad Pro (9.7”) with True Tone display which adjusts the amount of white light dependant on the ambient light to make the display appear more natural. What are your thoughts on ‘Night Shift’ mode? Leave a comment below. Want to keep up to speed with whats going on at Apple Resource? Add Apple Resource on Twitter, Facebook or sign up for my free monthly news letter which will contain unique new content. Here is a list of articles we published this week. You can keep up to date with Apple Resource by following us on Twitter, Facebook or signing up to our weekly update e-mail. 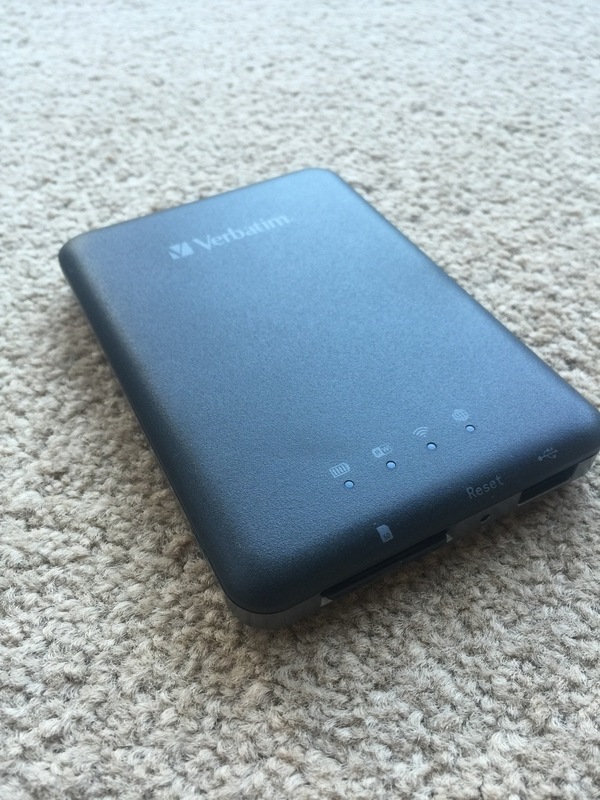 The Verbatim MediaShare Wireless is a wireless hub that allows you to access USB hard drives and SD cards on up to 5 devices on its local wi-fi connection. Ever wished that your contacts locations in Find My Friends app and system wide where in friendly names that you easily recognise? This ‘How To’ will show you how to give your contacts locations friendly names. Here is a simple guide to remove the Apple Music Connect button from your Apple Music app. 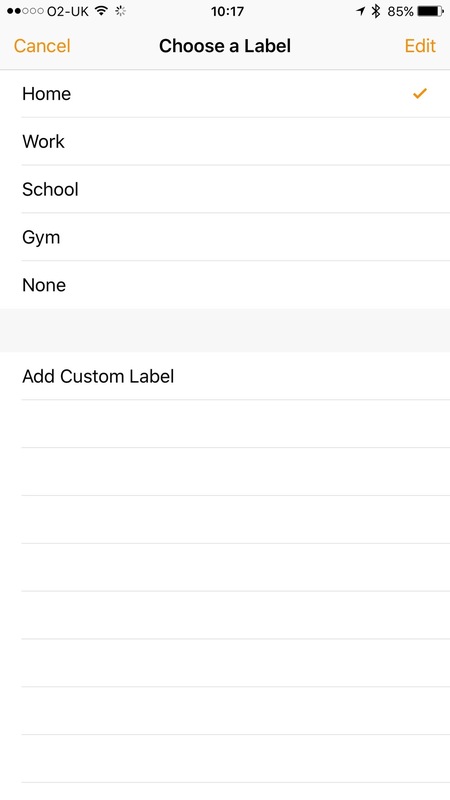 Omni Group has released a new version of OmniFocus that can now interface with template files to create project templates on iOS. Thanks to David Sparks for highlighting this use case. My favourite podcast, this episode is listener feedback, well worth a listen if you are a Mac/iOS user with an interest in using your devices better. When Apple Music launched back on June 30th 2015, Apple also announced Connect, their social media style interaction with music artists located in the Apple Music app. Connect was a second attempt at the artist social networking after the failed Ping, which was launched September 1st 2010. However, it doesn’t appear that Connect is a success for Apple Music with widespread consent online and many many people looking for a way to remove the Connect button from their Apple Music app. It’s rumoured that Apple will allow its users to remove the button in iOS 10 but in the meantime there is a way to remove it and replace it with ‘Playlists’. 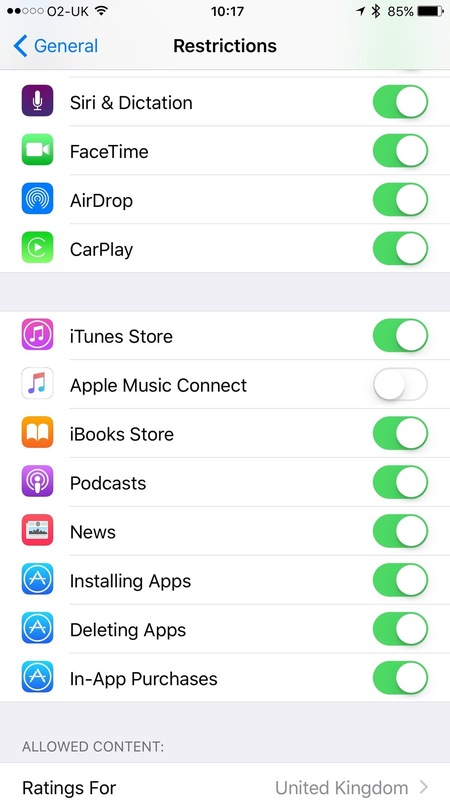 For the majority you will need to enable the ‘Restrictions’ section then toggle the Apple Music Connect button. 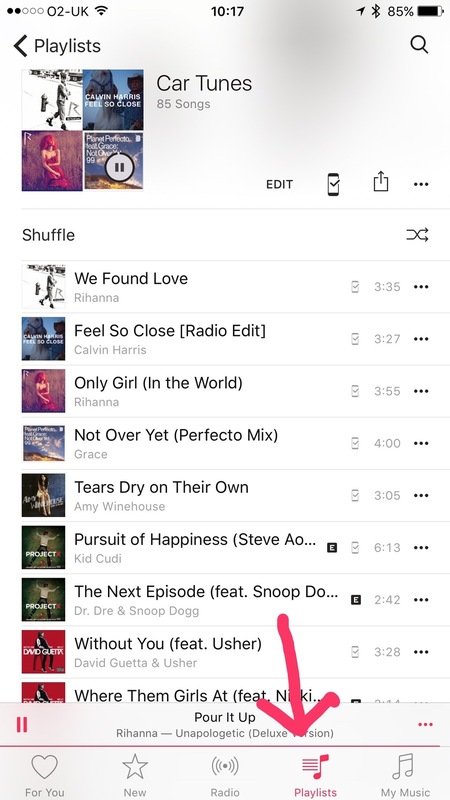 When you switch back to Apple Music you will now see your Playlists button where Connect used to be. Enjoy! Do you share your location with your friends, family or spouse? 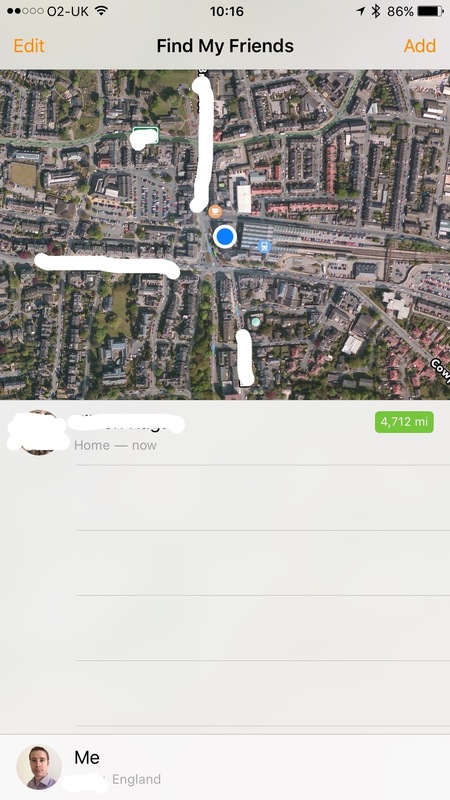 Well here is a little trick that you can use to name frequent locations such as ‘Home’ or ‘Work’ so that you can quickly see from notification centre where your contacts are with friendly names. If you haven’t already, install Find My Friends app from the App Store it’s a free app. Many people don’t know this exists as it’s possible to share your location without it. Open the Find My Friends app and tap on the contact who’s locations you want to name. Note: They need to be in one of these locations to change its name. You should be looking at a map screen showing your contacts location. Along the top bar, blow their name, should be three menu options. Tap ‘More’. 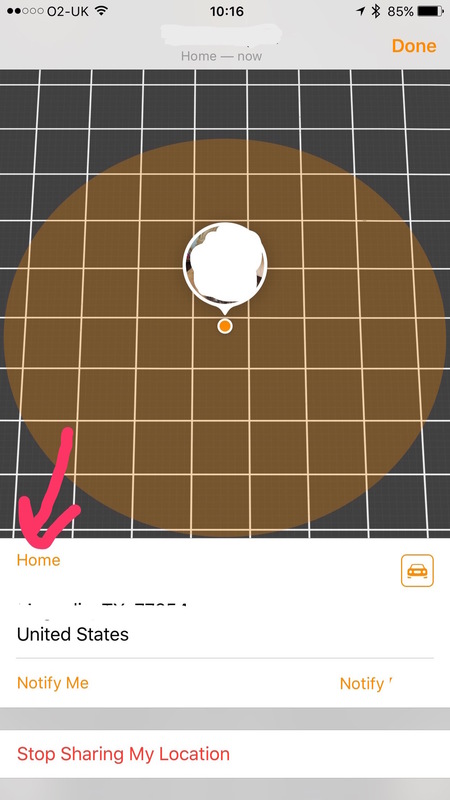 It should show an address just below the map with a little piece of orange text just above, tap that and a menu will appear with a list of location names such as ‘Home’, ‘Work’ or ‘Custom’. Make your choice based on the label you want to add. Go back to your phone home screen and swipe down from the top of the screen to bring up the ‘Today’ and ‘Notifications’ tabs. 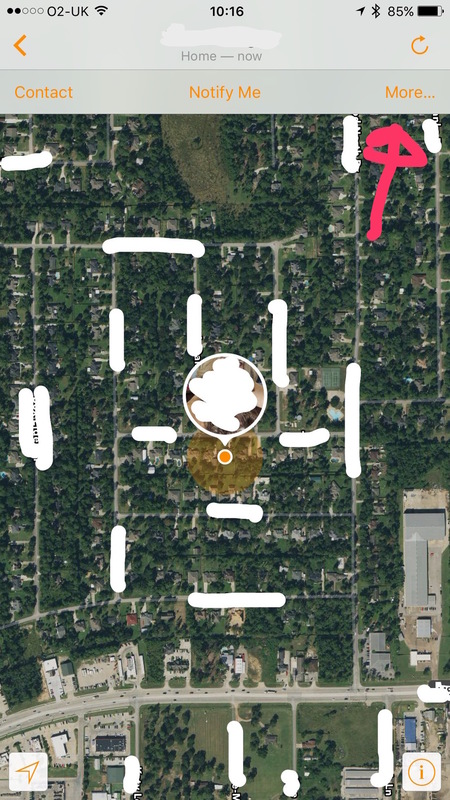 Scroll to the bottom and hit edit and add ‘Find My Friends’ if it isn’t already. Now when you view the today tab it will use your friendly names for your contact. Did you find this tip useful? Let us know and follow us on Twitter, Facebook or sign up for our free newsletter that will deliver our best content straight to your inbox. Disclaimer: This was a personnel purchase, as such it is being reviewed completely independently. 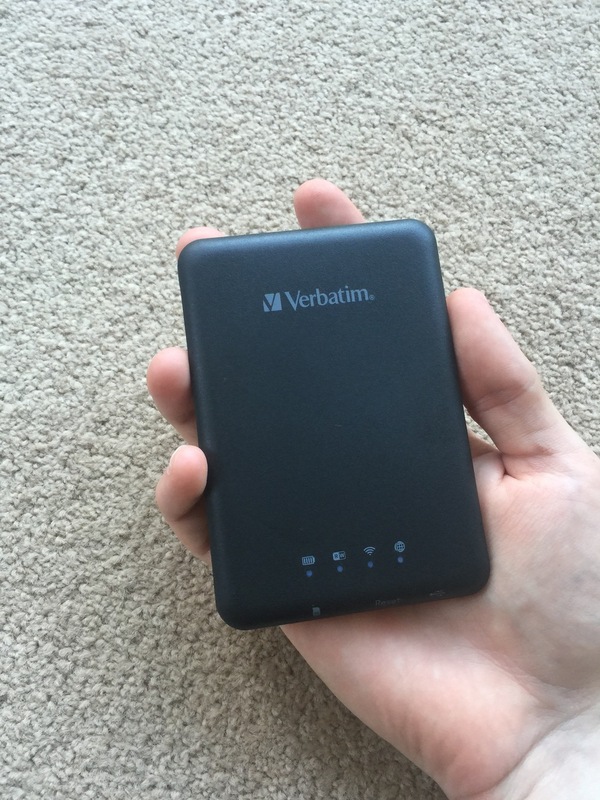 The Verbatim MediaShare Wireless is a wireless hub turning a ‘wired’ hard drive into wireless hard drive that provides a way to share files and media between up to 5 connected devices on its private wi-if network via its file manager app. 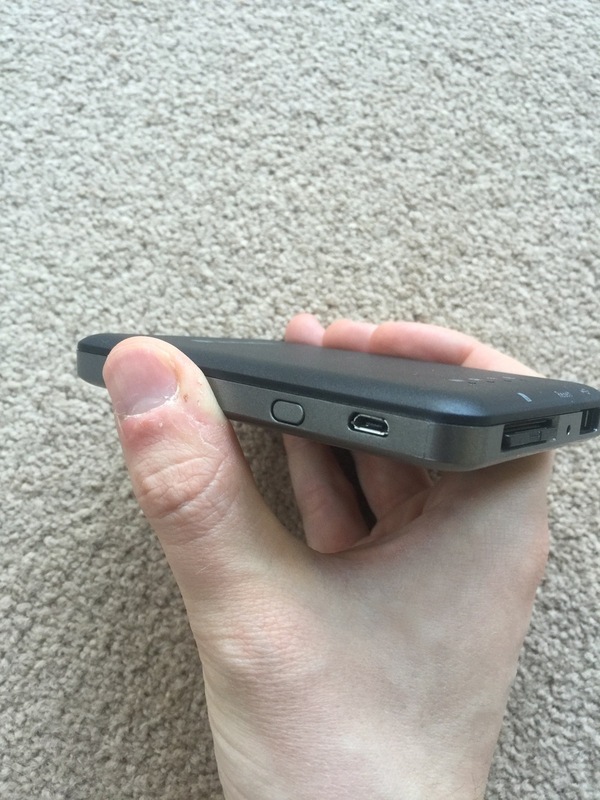 With 9 hrs of continuous battery life there is plenty of juice on the device to keep you going for a long plane flight or work day, it can even help charge your mobile device if needed. Unlike wireless hard drive units this device acts more like a hub allowing you to connect a USB hard disk or thumb drive as well as an SD card. This has pros and also some cons. The pros are you can connect any USB hard drive to the unit and are not limited to a single drive, another advantage of which is the ability to then connect those drives to a Mac and back them up with Backblaze. 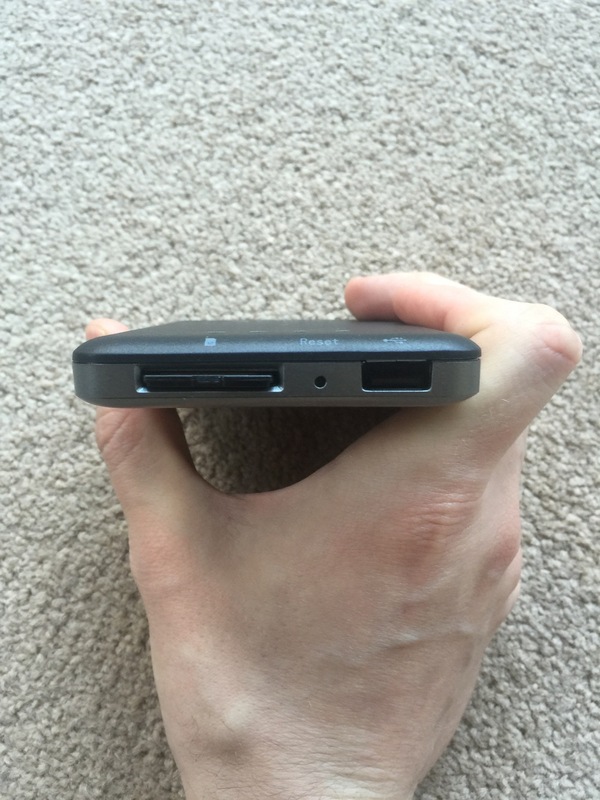 It also provides you the ability to insert a camera SD card and transfer them wirelessly to a hard drive whilst on the road, also allowing you to view them on any mobile device. The obvious cons are that you need to carry both this unit and a storage unit, and you will need to connect the two together which might be a hindrance whilst travelling unlike a traditional wireless hard drive. Carry a lot of media (movies etc) on the road with you when you are travelling without a laptop. You want to transfer photos from your camera SD card to a large hard drive when you are out and about, allowing you to take more pictures. You want to go iOS only. You travel with kids. This is great to keep them (and you) occupied on a long flight. You could also wire this into your car 12v supply and tuck it neatly away in your boot (trunk) with a hard drive attached. This would create an in car media hub. You need to share large files or media with a project team quickly and securely. You want more flexibility than a wireless hard drive unit. The hardware itself works really well. It is well designed, feels solid and is easy to access. However, where the whole package falls down is the app software, at least on iOS. It works well, but hasn’t been updated and looks just plain weird on iOS. Verbatim need to update it ASAP from a visual perspective. I’ve been able to stream movies, open PDFs, pictures all with great speed and ease. When opening a movie file, there was no buffering or lag at all. There isn’t a desktop app, so you are limited to mobile devices. Obviously with removable media this isn’t an issue. I’m not sure if the dedicated wireless hard drives come with desktop software, but if not, this could be a distinct benefit of going with this unit. The main point of a product review description is should you by it or not? Well if you need to share a large storage device with one or several mobile devices or you travel with kids then the answer is simply yes. If you want more flexibility that a wireless hard drive whilst effectively converting multiple wire hard drives into wireless hard drives then this product is for you. The software needs to be updated urgently, but still functions fine. The hardware is solid and fast as well as nice and compact. You can buy the device from the links below, and if you do please leave a comment on your thoughts of the device. Has someone suddenly disappeared on you and you have sent iMessages and FaceTime calls with no response? Are you being ignored or, worse yet, are you blocked? This article will help you work out which one it is. Should you be concerned that one of Apple’s largest private investors has just sold his 0.8% stake in the company citing fears over China’s sentiments towards Apple? Have you ever needed to quickly combine some video files without wanting to buy or look for additional software beyond the OS? Well you can with QuickTime X. A nice piece written by David Sparks about his encounters with Amazon’s Echo. Having personally used an Echo and with the recent announcements about ‘Viv’ from the guys that created Siri it is clear that Apple is slipping behind the rest of the market. If you have followed my writing over at DavidJMoore.com then you will know my passion for Taking the Straight Line – getting from A to B as quickly and as simply as possible. I also have a passion for achieving great results using the base apps on both iOS and OS X. This isn’t always possible, but when combining videos it is. QuickTime X comes pre-installed on all Macs and makes it very simple to combine a set of video files. To do this all you need to do is open the video you want first in the sequence then select the rest of the files in a finder window and drag them onto the video that’s open in QuickTime X. When you do so, you will notice some yellow film placeholders appear where you can drop the files you are dragging onto. You can then rearrange them as you see fit and once done hit File -> Export and you are done. Do you have any other tips we should share with the wider community? If so let us know HERE or via Twitter.